If there is an established locksmith service company that everybody in Illinois trusts, then that is definitely us. Our technicians are not just knowledgeable and skilled, but also well-mannered, especially in accommodating all clients. Our reputation for delivering results is truly unbeatable. Locksmith Oak Park understands that when you experience problems with your lock and key, do not want to spend the rest of the day waiting for such problems to be solved or given attention. Customers want fast and reliable solutions along with getting back to a normal routine. Our team always keeps this in mind, therefore, train our staff to work efficiently, wasting none of your precious time. Tools are kept ready and vehicles in place, so that when you call for assistance, we respond swiftly. Diligent technicians are well trained, speedily fix problems with any type of lock, whether they are old, traditional style of locks, or the modern and more sophisticated ones. Our outstanding team works hard to meet your needs. “Locksmith Oak Park” is well versed in a wide variety of locksmith services. These include lock installation, repair, rekeying, and replacement. We replace keys and assist when you get locked out of your car, home or place of work. Technicians know that your locks provide security for the property, so count on us to give high regard to that. In addition, able to handle various brands, and if you are looking to upgrade new locks, recommend the right type of devices that best suits all your needs. Make us your locksmith contractor if in the process of home construction. We can design a locking system that provides the highest security for you and loved ones. 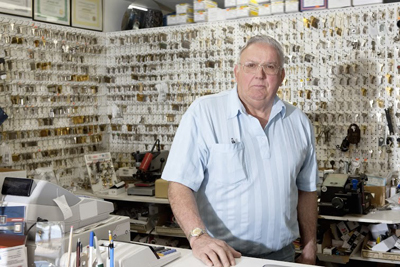 As your local locksmith, leave lock repair or key replacement to us. We fully understand how valuable time and security is in your business and know that since are business owners ourselves. 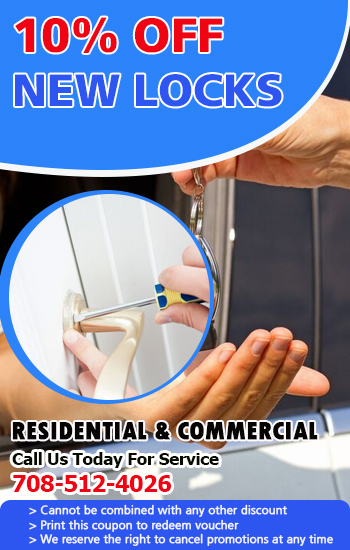 Moreover, are committed to offering topnotch commercial lock repair and installation. Our scope of work does not end in just fixing broken office keys or locking devices. We also install safes and master keys. Tell us what you need and let us find the right solution. Our team works while you continue normal business operation. There is no need to worry about emergency lockout. We can get you inside your office or shop in no time at all. As a professional team, it is our duty to provide efficient service anytime. If requiring a locksmith who will never compromise. It is our pleasure to serve you.